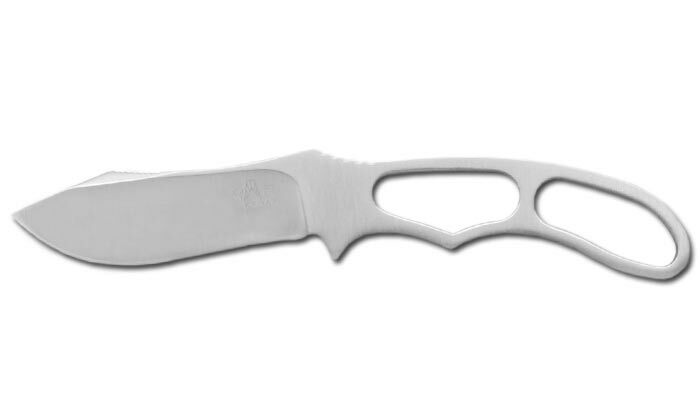 The Piggyback™ is the smallest knife in the Johnson Adventure line….but it doesn’t know that. The Piggyback™ is purpose-built for field dressing game from upland birds to big, nasty hogs and everything in between. Its simple skeleton design is very easy to clean up and it is made of high carbon stainless steel so keeping an edge on it is easy. It has a deep belly and an abrupt clip point that is perfect for unzipping skin from forelegs and other critical areas when caping out a trophy. The Piggyback™ is all about toughness, simplicity and ease of use. It comes standard with the Baconmaker™ and Potbelly™ but is also sold here separately.